Bolton Valley needed a new website. One that could be simply content managed, look sharp to their users and be extremely functional for all of their content. They wanted the visitor to be able to find what they needed and they wanted the usage tracked. We worked closely with the marketing department at Bolton and Sensible World to define the list of goals for the future site. A detailed sitemap was created and Sensible World got to work on the design. Just before the go-live date, we hit a few hiccups, but we worked through them together and even implemented a brand new Axis HD Webcam streamed via HDRelay. 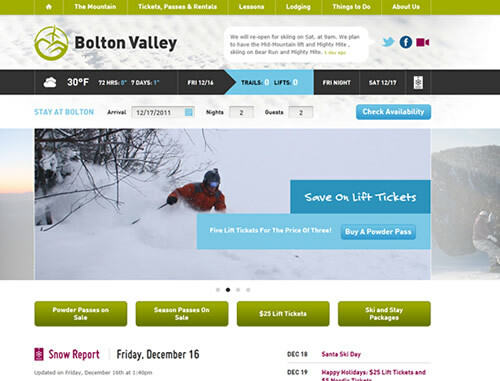 Now, Bolton Valley skiers can see current weather & conditions, current and projected snow report data, read the three blogs, connect to social networking and even stare with jealousy at the happy skiers on the live video feed. Bolton staff can edit the content from any modern web browser and VickeryHill will support them with future expansion and technical integrations. 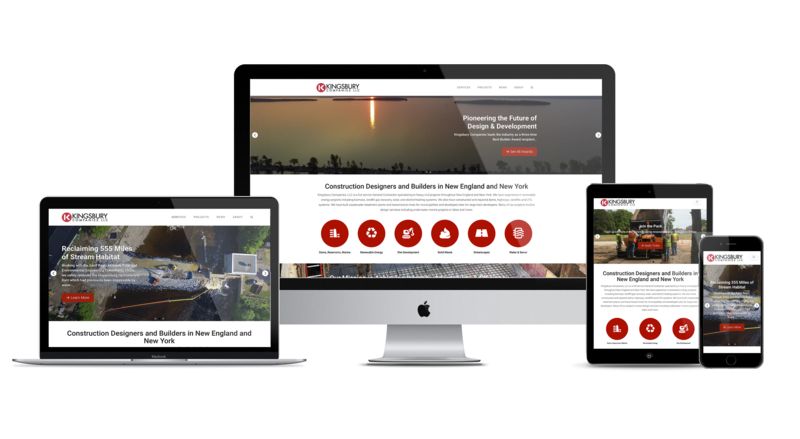 It’s obvious that users are increasingly using their mobile device to access Bolton’s site and that we needed to do something to give the user an optimized experience. We worked with Sensible World to design a responsive layout that would give the user everything they needed at their fingertips (literally). Check out the old (non-responsive) and the new (responsive) layouts on an iPhone. Instead of seeing the full site and having to zoom in, we’ve presented everything you need in an easy to “click” layout. The snow report, weather and latest promos are easily accessible from the homepage with full navigation available in the upper-right corner with the now ubiquitous “hamburger” (three horizontal lines) menu item. The end result: in the first 3 days of the responsive layout being live, we can already see 40% increase in pageviews by mobile users, a 15% decrease in mobile bounce rates and will be watching for increases in goal conversions.